1/17/97 Reebok Prism - James Neiss Photo - L-R - The Rev. 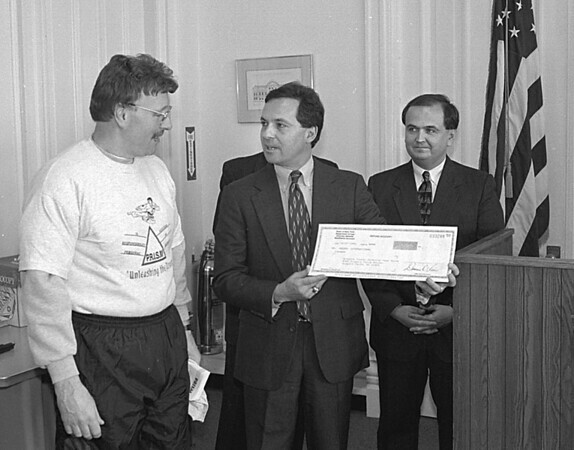 Robert Heisner, Project Fuiture Way, and PRISM program creater, recieved a check from State Attorney General Dennis Vacco from funds recieved from a law suit against Reebok. Other dignitaries involved in obtainting the funds including Senitor George D. Maziarz attended.